Online registration has closed. Those who haven't had the chance to register can do so at the Forum's registration desk on Sunday 31 March. Looking forward to seeing you at the Grand Hotel Palace. 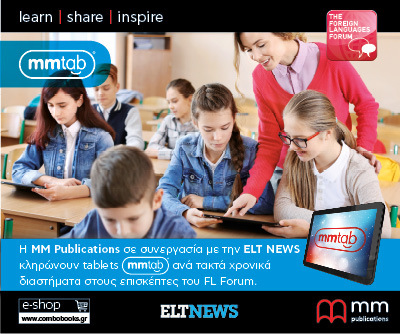 The Foreign Languages Forum is one of the main events in the Greek English Language Teaching calendar. Attended by more than 650 ELT professionals, it features a 1-day programme of commercial and professional talks as well as workshops. The Forum will take place on 31 March 2019 at the Grand Hotel Palace and features educational sessions covering a wide range of topics. The Forum’s plenary sessions are expected to attract a lot of attention as distinguished speakers from Greece and abroad will share ideas, knowledge and expertise. Amongst the highlights of the event are the sessions by Andrew Walkley and Dr Thomai Alexiou. 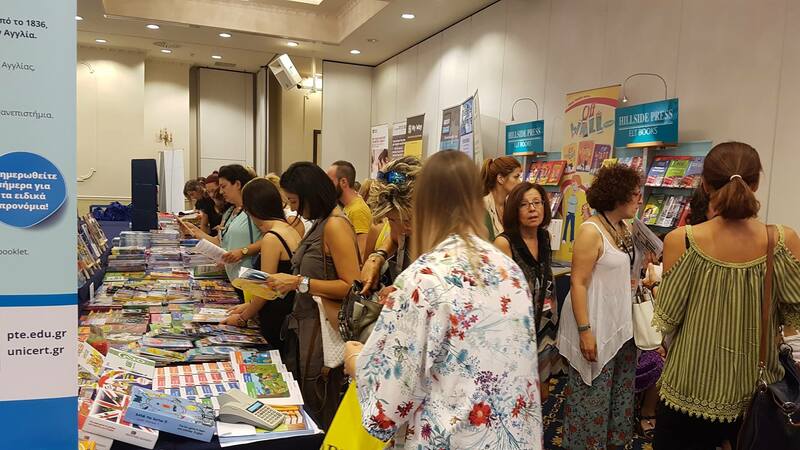 This year 16 publishers and examination bodies will be present at the FLF's exhibition area. Do you feel hungry for a fresh helping of teacher training? 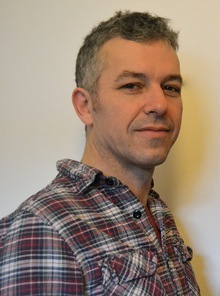 We have prepared a real feast and the head chef is Andrew Walkley. A plethora of recent research confirms that vocabulary development is a decisive factor in the successful development of a foreign language by young learners. This presentation reevaluates vocabulary and presents ‘Pic-lex’, a new well-founded testing tool intended for very young learners up to primary school learners and offers estimates of receptive vocabulary size from picture cues. Dr Thomai Alexiou is an Assistant Professor at the Department of Theoretical and Applied Linguistics, School of English, Aristotle University of Thessaloniki. She holds an MA in TEFL from Canterbury Christ Church University and a PhD in Applied Linguistics from the University of Wales Swansea, UK. She has taught English as a foreign language for about 10 years in Greece and Britain. She currently teaches courses in methodology of language teaching, pedagogical foundations in learning a foreign language, current communicative approaches and research methods in applied linguistics. • Which exams should we ‘prefer’? • How, based on the Cambridge English Scale, can you officially be at level C1, if the exam you took is at level B2 or C2? • ‘informality’ in the new exams. How does this affect teaching? 12:30 - 13:20 ΠΙΣΤΟΠΟΙΗΤΙΚΑ ΕΠΙΠΕΔΟΥ Β2: Οι πιο συχνοί προβληματισμοί των καθηγητών, που διδάσκουν σε επίπεδο Β2. ΠΙΣΤΟΠΟΙΗΤΙΚΑ ΕΠΙΠΕΔΟΥ Β2: Οι πιο συχνοί προβληματισμοί των καθηγητών, που διδάσκουν σε επίπεδο Β2. This presentation reevaluates vocabulary and presents ‘Pic-lex’, a new well-founded testing tool intended for very young learners up to primary school and offers estimates of receptive vocabulary size from picture cues. 12:30 - 13:20 Homework in the 21st Century: Ideas to Excite and Engage EFL Learners! Homework has always been a mainstay teacher strategy. When used properly, homework is an effective method for reinforcing educational learning goals. In the 21st century, a new style of homework should be encouraged, beyond the current model that mainly emphasizes rote rehearsal skills and mere practice at home. This new homework model should entail activities that inspire students to be more creative, explore their interests and become more autonomous. Burlington Mindset B1 is the ideal coursebook for mixed ability classes. The first part in a three-part exam preparation course, it contains engaging tasks and topics which challenge students to stretch their cognitive abilities. In this workshop we will explore and practice some of the ideas put forward in my plenary session. 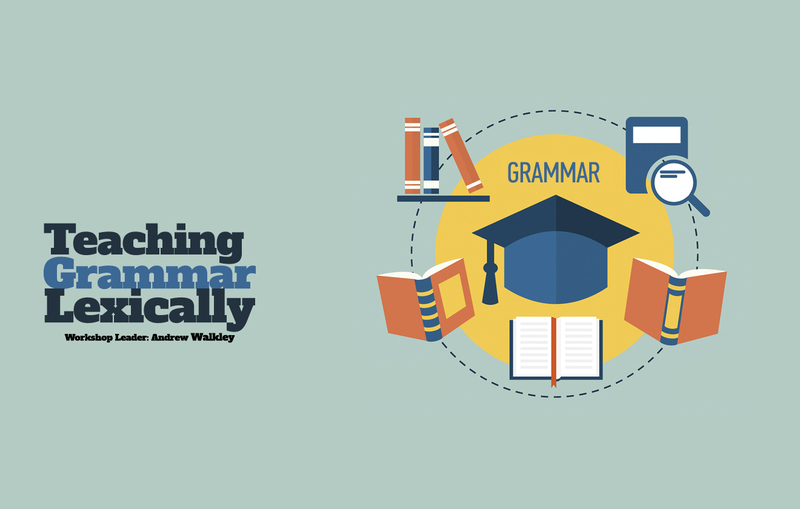 In particular, we will look at the idea of thinking about and recording what we actually say as a starting point for drawing attention to grammar and vocabulary, rather than starting with the idea of a grammar rule and a lexical set. We will mainly look at practical adjustments to how we approach our day to day teaching, rather than individual on-off activities.